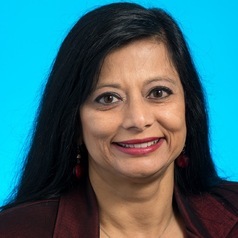 Jayashri Kulkarni commenced her appointment as Professor of Psychiatry, The Alfred and Monash University in 2002. She directs a large psychiatric research group, the Monash Alfred Psychiatry Research Centre (MAPrc), which has a team of over 100 staff and post-graduate students from medicine, nursing, psychology, allied health, science, and health information services. Funding for this group comes from a number of national and international project grants plus industry collaboration.